Check out the Serene, Tropical Waterfront view of Bowles Creek from this 3/2/2 SPLIT PLAN Single Family Home! Many Updates and Upgrades ~ The Kitchen has Granite Counters with S/S Undermount Sink, Custom Wood Cabinets, New Lighting and Microwave with Exhaust. Custom Built in shelves in Family Room. Laminate Flooring is in the Laundry Room, Dining Room and and Guest Bedroom. Both Bathrooms have upgraded 16" Toilets. The A/C has been replaced recently and there is a New Side Garage Door. Also there is an Upgraded HURRICANE PROOF GARAGE DOOR too! New indoor/outdoor carpet in the screened-in lanai. Upgraded textured ceilings are in the Living ~ Dining and Foyer Areas. NEW PAINT on the entire outside of home and also in the garage as well as the 2 Guest Bedrooms, Kitchen and Family Room! 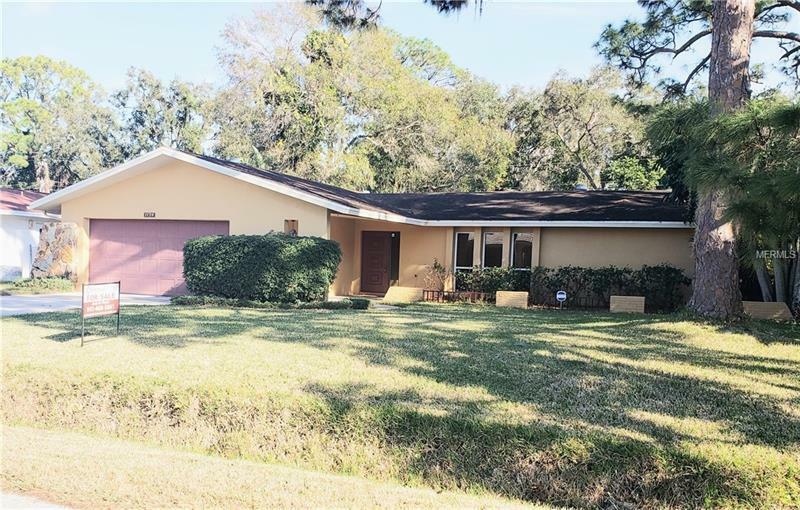 LOCATION, LOCATION, LOCATION MID POINT BETWEEN SARASOTA & BRADENTON! Convenient to the Sarasota International Airport, Sarasota's Famous Historical Downtown, Ringling Museum, St. Armands Circle, Lido Beach, Plenty of Golf Courses and the University Town Center Mall, as well as what all of of Bradenton has to offer such as the Museums, Riverwalk, and all of the Exquisite Restaurants & Museums. Come Live the Florida Lifestyle!